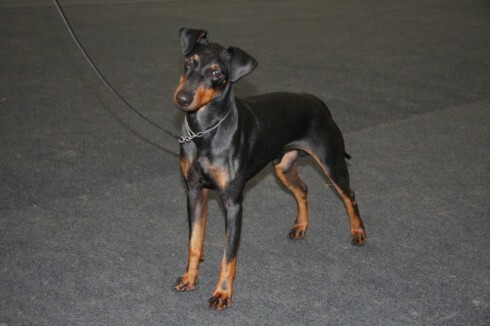 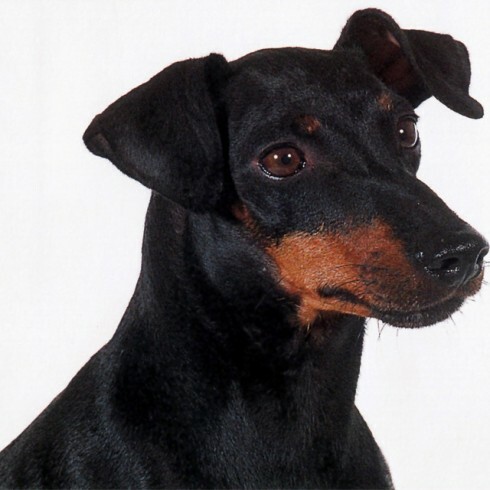 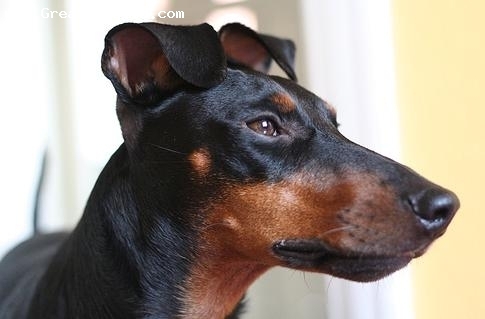 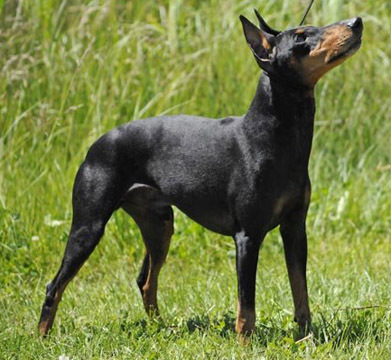 The sleek, tidy Manchester Terrier is the picture of elegance in a small dog. 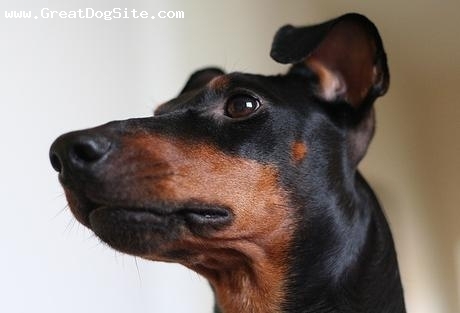 This dog has a quick, protective nature. 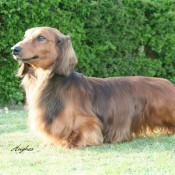 He's happiest with gentle kids, and can be shy with new people. 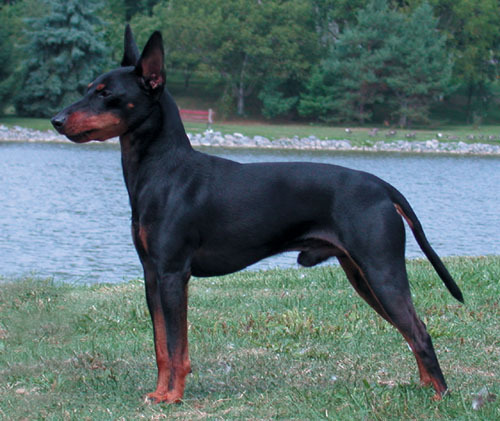 But he's very much a part of his own family; he attaches himself deeply to them. 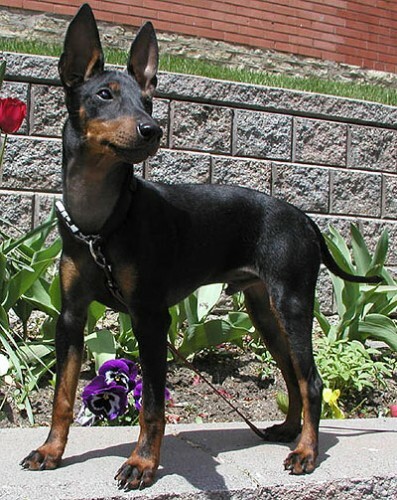 The Manchester Terrier was known long ago as "the gentlemen's terrier". 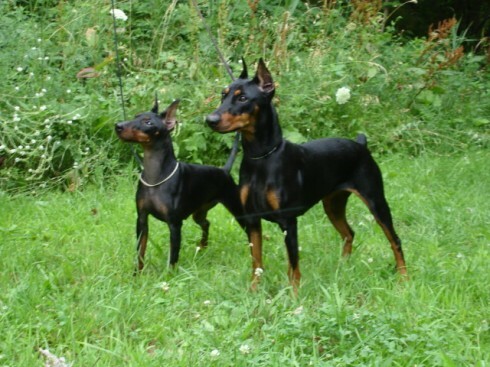 The Manchester was bred in England in the district of Manchester to kill vermin and course small game. 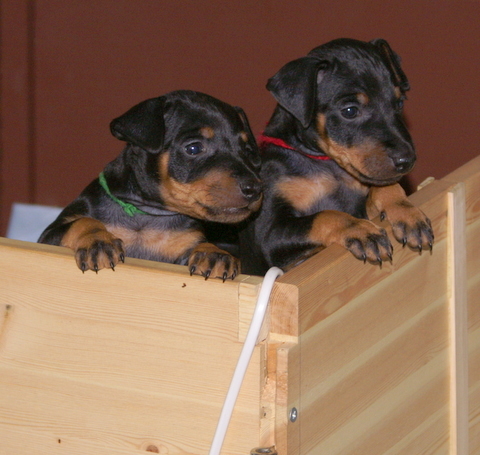 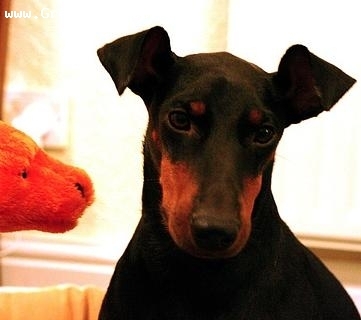 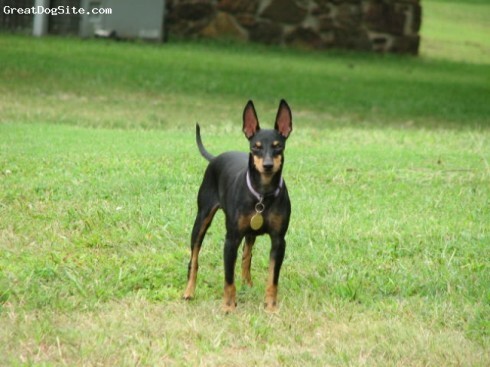 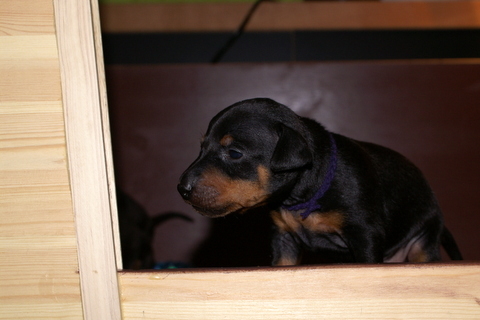 So you want to own an Manchester Terrier? 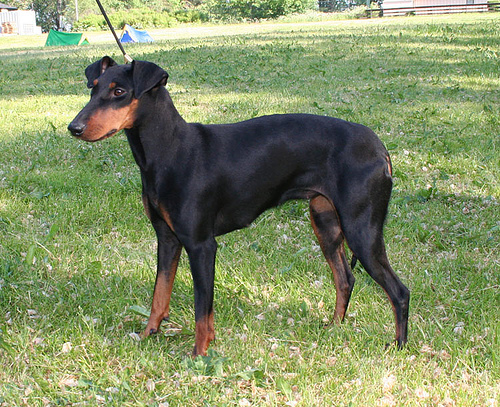 The Manchester Terrier is a devoted affectionate dog who makes a good house pet and watch dog. 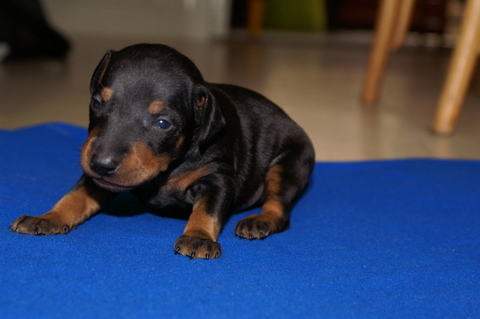 Small, dark and sparkling. 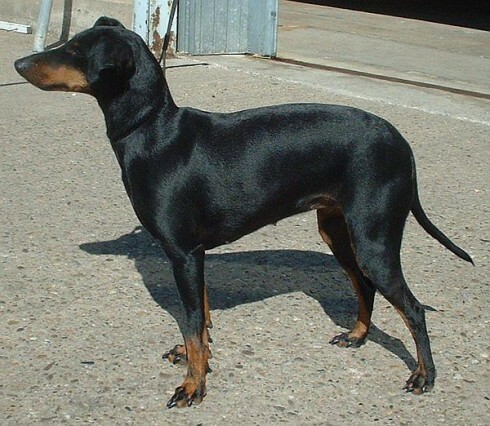 Almond-shaped, not prominent.